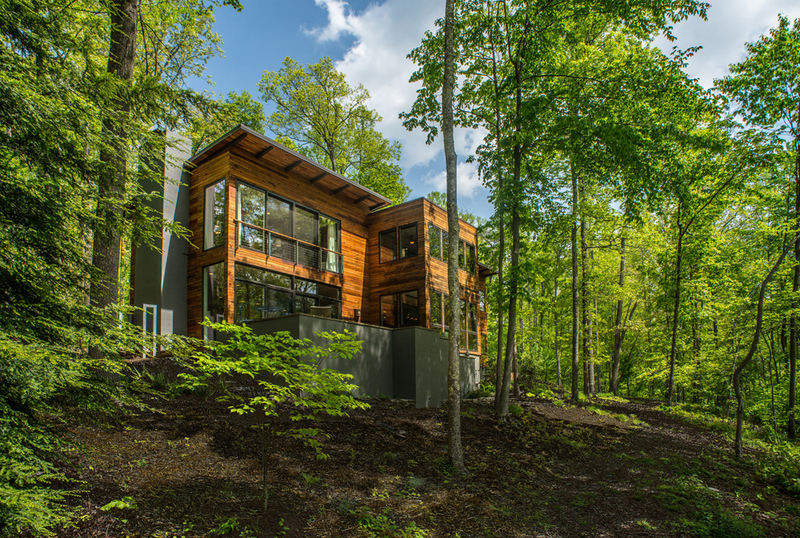 A modern vacation cabin for an extended family sits on a breathtaking site on the edge of the New River Gorge in West Virginia just across from the town of Fayetteville. 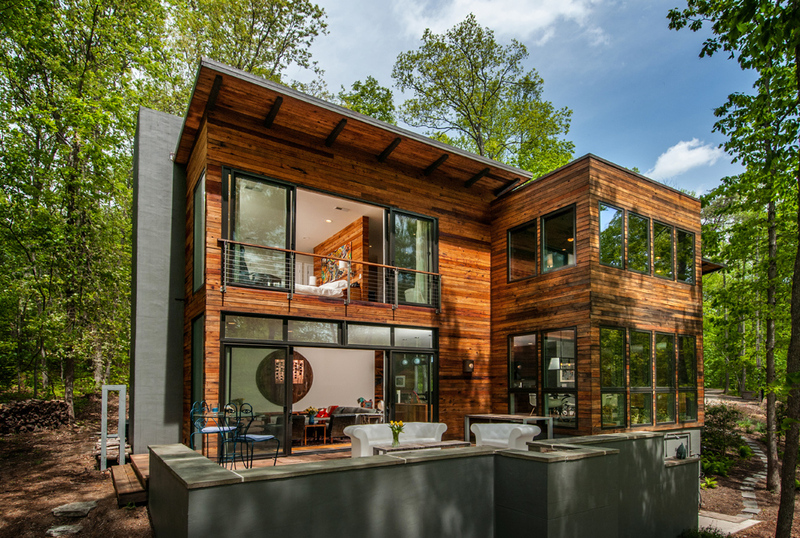 The house is set into the woodland off the steepest parts of the gorge and is angled such that it gets framed views of the New River Gorge bridge when the leaves fall. Working with NBW Landscape Architects, the driveway, entry walk, house and terrace were designed to thread between a row of trees named "the soldiers" by the client. 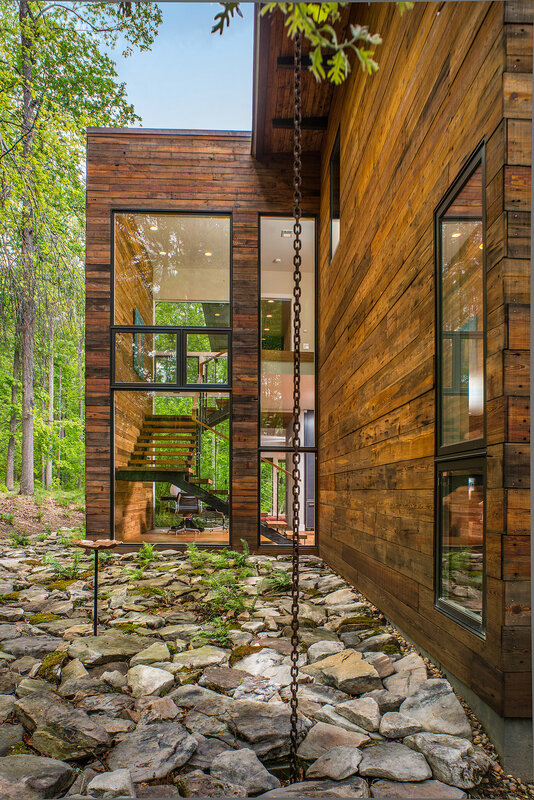 Shifting to accommodate the stand of trees but also to capture views, these elements allow the main level of the house to be at grade on the arrival side while creating a perch on the other end where the most distant views can be seen. The shift in the long direction allowed for a volume to cross making a center axis for the house at the base of the stair which coincides with the corner of the main living space. The two ends are the dining room and the vertical circulation. The uphill side of the house The house momentarily catches part of a hill making a small rain garden on the uphill side.